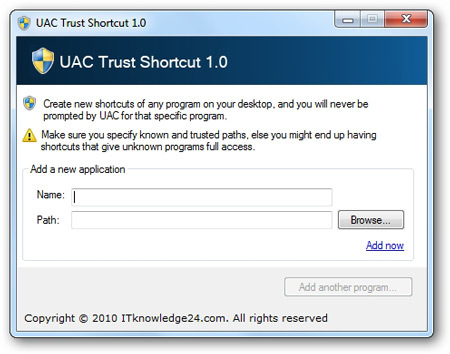 UAC Trust Shortcut is a free tool that allows you to turn off User Account Control (UAC) for a specific application. Type the name of the application in the Name textbox. Click Browse and browse for the application for which you want to turn off User Account Control (UAC). 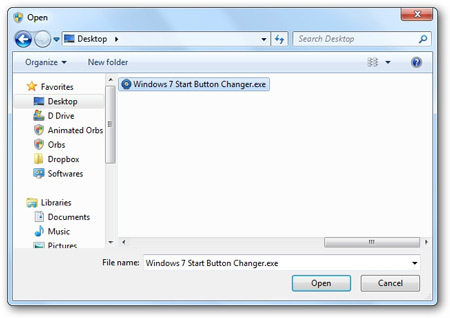 Now a shortcut of that application will be placed on your Desktop. If you use that shortcut User Account Control (UAC) will be disabled for the application but if you use the original shortcut User Account Control (UAC) will be enabled for the application.